Anyone living in or having dealings with Nigeria over the last few months would be aware of the MADNESS (apologies for the crude terminology) that has engulfed the value of the naira. This is especially so for people who have forex denominated outflows, yet receive their primary income in naira. I, for one, have resorted to suffering and smiling, hoping like all struggles, this too shall pass. The biggest issue being the fact that the Central Bank of Nigeria (the “CBN”) simply does not have enough foreign currency reserves to pay companies entitled to access the official forex market (selling at N197.50/$) and thus forcing these companies to source their forex demands on the black market (selling at N365/$). As you can imagine, when transacting in high volumes, this discrepancy is simply not sustainable and has been the main reason we have seen a drastic slump in the rate at which foreign investors are coming into Nigeria. For example, as of March 2016, an equivalent of about $575million belonging to foreign airlines was trapped in Nigeria, with the CBN being unable to source the dollars to enable these airlines send back these funds at the official rate. Anyone who tried to book an airline ticket during this period might have noticed that the price of tickets had sky rocketed, with some airlines simply mandating that payment for their tickets be done in foreign currencies. Only airlines apparently not in dire need of these funds, and able to lock in their naira balances have been able to maintain a relatively reasonable naira ticket price. There has been a lot of speculation about the devaluation of the naira. We all knew it was inevitable, but the question was ‘when?’. On Wednesday the 15th June a friend called to inform me that the CBN governor was already on TV about to make the long anticipated official pronouncement on the flexible exchange rate regime. As we watched the speech the room was in total confusion as to exactly what he was saying, arguments broke out left right and center in a bid to interpret the meaning behind what was being said and the impact it might have on the way we are currently doing business. I am sure at the time of making the pronouncements some specific details regarding the realities would have needed further working, with some members of the CBN being slightly confused themselves. This article intends to summarise some of the key changes introduced by the CBN guidelines in a manner that everyone can understand. The official forex market rate has now been discarded, thus we will no longer have the N197.50/$ peg which had been previously available for eligible transactions, and which has arguably been a great hindrance to the economy. What has been introduced in its place is a single market structure that will have exchange rates which will not be dependent on or be determined by the CBN. This new forex market will instead be driven by market forces, with the value of the naira being determined on a daily basis by these forces, similar to what we have on the black market. Under these new guidelines, the CBN is empowered to participate in the new forex market through periodic interventions to either buy or sell FX as and when needed to ensure continuous liquidity, thus keeping the exchange rates within check. 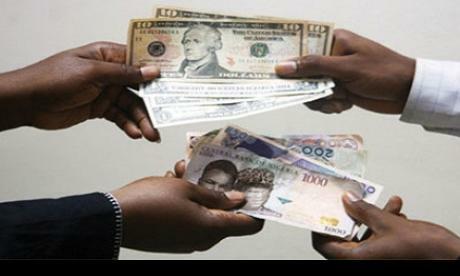 In a further attempt to somewhat stabilise the new forex market the CBN has also introduced the forex futures market. On this market, authorised dealers and end users with eligible trade backed transactions may purchase forex for future use. So for example, where a trade-backed end user has purchased forex for use over the next 12 months and has agreed a rate of N298/$ for such transactions, where at the time of actual forex exchange the market price has gone up to N291/$ the CBN will bear the naira difference. However in instances where the price has gone down to N295/$ the trade backed end user would have to refund the CBN the difference. This new one -the-counter forex futures market is aimed at reducing the demand for forex on the spot market (where foreign exchange is traded for immediate delivery). This is done by moving the non-urgent or anticipated demands to the futures market. This will also enable the CBN to anticipate bulk forex demands, thus making the necessary plans to cater for same accordingly. Unfortunately, under the new guidelines all the items previously ineligible for foreign exchange at the official rates (N197.50/$) remain ineligible in the new market and would have to continue to source their foreign exchange needs from alternative sources. Thus businesses involved in the importation of rice, furniture, toothpicks, textiles etc. would have to continue to call Mallam Awalu to change their naira to Dollars. The truth is, no one knows what the future holds, including the CBN. As we have seen over the last few months, a number of policies have been introduced with the hope of alleviating the illiquidity situation; and as we can all testify, policies introduced in the past have only successfully made the situation worse. However, as a loyal patriotic supporter of the Nigerian economy, I sit with arms folded and prayerful that this too shall also pass.